The second of three Florida gubernatorial debates happened this week, but most of the attention is being paid to a spat over an electric fan. 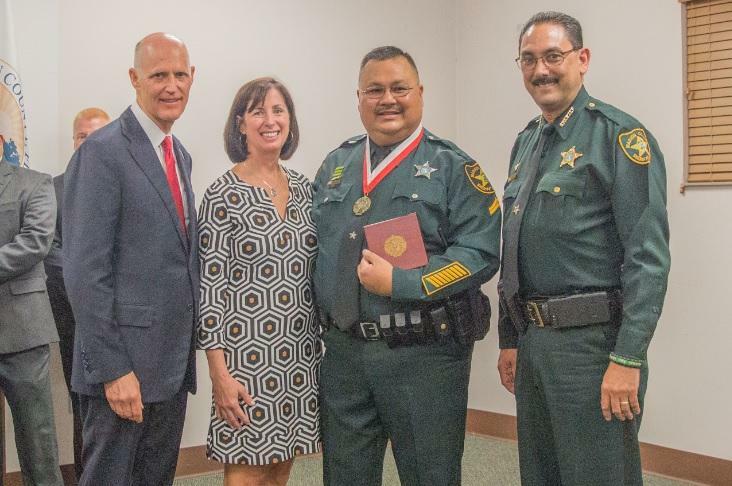 Some pundits are calling it one of the most bizarre moments in recent Florida political history. 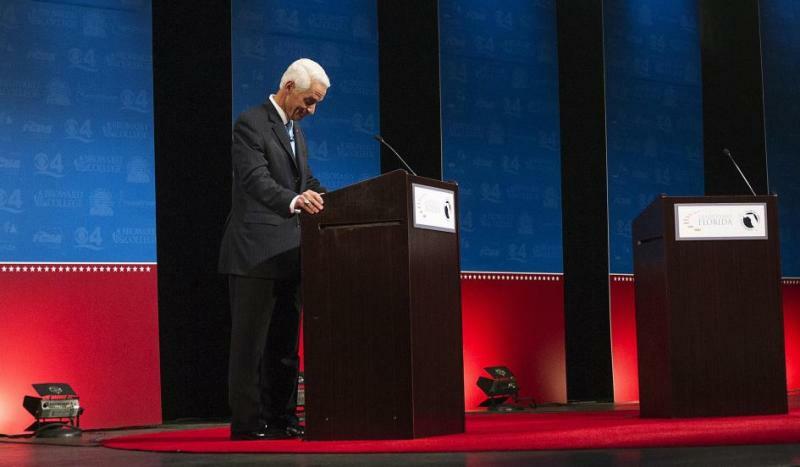 “We have been told Governor Rick Scott will not be participating in this debate," said CBS4’s Eliott Rodriguez, who attempted to viewers and listeners of the Florida Press Association/Leadership Florida debate why there was only one candidate onstage: Charlie Crist. 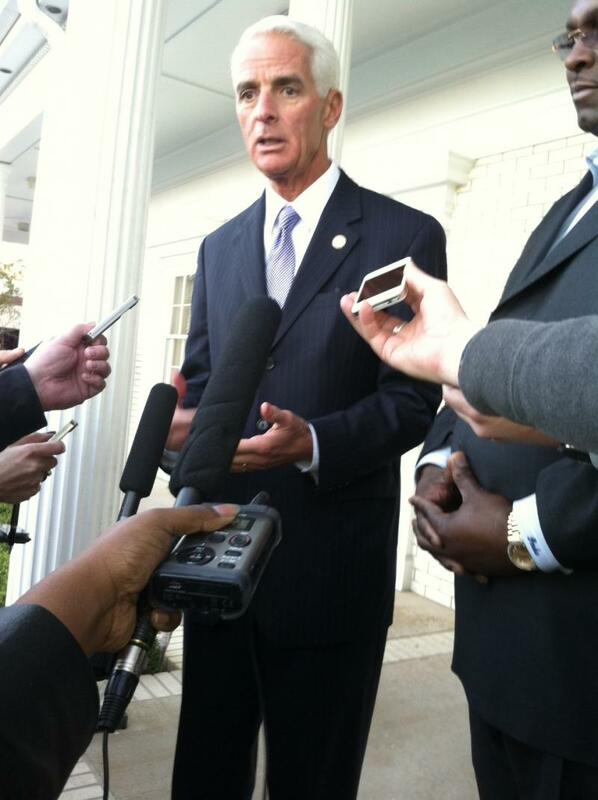 Charlie Crist is campaigning across Florida to get his old job back. Crist, a former Republican-turned-Independent, is running for Governor as a Democrat. During a fundraising stop in Tallahassee Thursday, he tried to contrast his policies to those of Governor Rick Scott. “I am excited about running for governor, uh really excited about it, overwhelmed by the support we’ve received so far,” Scott told reporters Thursday just before stepping into a campaign fundraiser at the Tallahassee law firm of Parks and Crump. Governor Rick Scott, his higher education advisory panel, and the board that oversees Florida’s universities, could be heading to a clash over tuition rates. Governor Scott’s "Blue Ribbon" Task Force on Higher Education is proposing tying tuition rates to programs. Those deemed most important would be shielded from tuition hikes for a few years until unemployment drops. But the tuition issue could run into headwind from Governor Rick Scott, who says he wants to keep costs down.